Our annual Draft Day was held on Saturday arvo. 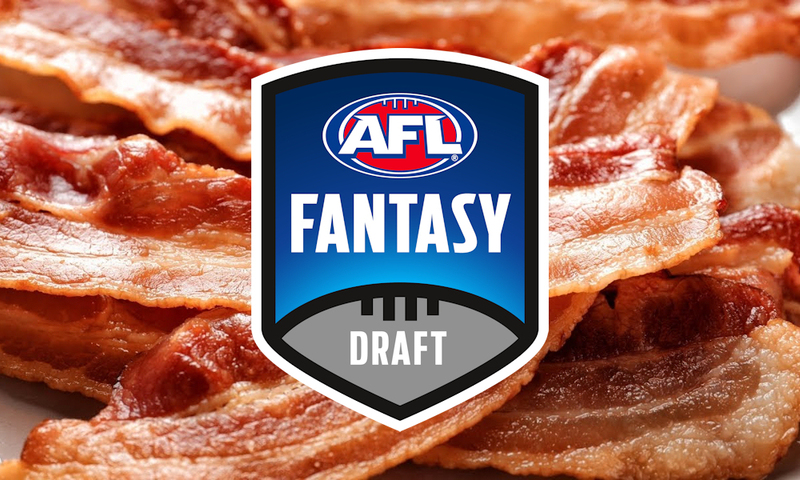 The Bacon Cup has been running in this form for five seasons and to determine our draft order this year, Luke – the reigning premier – had a great idea… as you can watch in the tweet below. Our Bacon Cup 2018 league winner, @lukeharback, took his task of choosing the draft order to another level tonight using one of our favourite artists, @AndrewWK. Here’s how it went down pick-by-pick. Search a team name to see how they line up. Connor Blakely taken @ 32??? See how the Bacon Cup Draft played out.